Another day, another pinot noir. This time, it’s from New Zealand — Marlborough, specifically. And quite a different specimen from the last pinot noir to cross our threshold, the restrained, poised Palataia Pinot Noir from Germany. A good few quid more expensive, too, I might add. 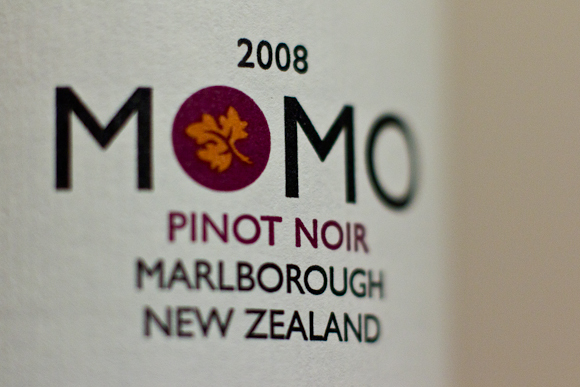 Momo is a far more extrovert manifestation of the pinot noir grape. Like a small child on the way back from a Pick Your Own fruit farm, it’s stuffed with red fruits. Unlike the small child, though, Momo isn’t going to start bawling for your attention in about an hour with a stomach ache. Thank Christ. Instead, give it an hour in the open air and it’ll get a fair bit more serious. Some bitter undertones develop, a savoury, lasix water pill reviews smoky complexity. Which is most welcome. Texturally, it’s delightful: that silky, silky pinot noir seduction. And whilst it may be accessible, thanks to all that fruit, it’s far from simplistic. As well as the smokiness, there’s pepper, cinnamon, roses, soil. And a smidge of caramel (but only a smidge). A very enjoyable, stylish kind of wine. Nothing, I must say, to set the Parn palate ablaze — but very creditable, very accessible. Closer to an airport paperback than a penguin classic, admittedly. But a pretty good airport paperback. What’s more, it’s a wine you’d have to work a lot less hard to love than a squealing toddler with an upset stomach and a stained mouth. … won't blast you with fruit & veg like some crazed pyromaniac greengrocer. No; it's lean, discrete, introverted. And in disguise.